Amanda Hernandez submitted this photo and caption. I marched as a member of the Pacific Crest mellophone section in 2007 and the Blue Knights in 2008. 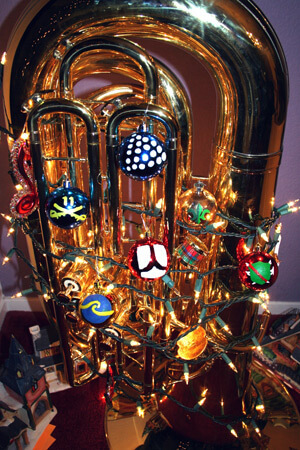 This is the Hernandez Family "Tuba Tree." Happy holidays drum corps fans!